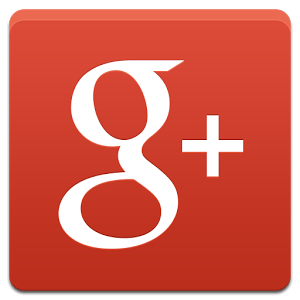 Google+ is a pretty great social media platform - it allows content of all lengths, many types, and it presents in a readable, ad-free way. But not everybody uses Google+, and that's understandable, we've all got plenty of social media in our lives at this point, and Google+ is just another platform to keep track of. 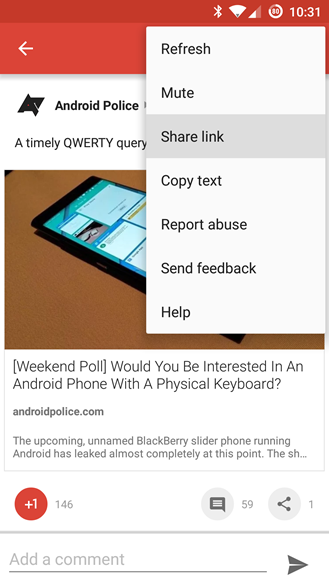 But sometimes you want to share a great Google+ post, and if you were to do that on your Android device, that meant just copying a link to the post to your device's clipboard. Not ideal, necessarily, given that Android has literally been built upon sharing content between various apps seamlessly and with as few taps as possible. 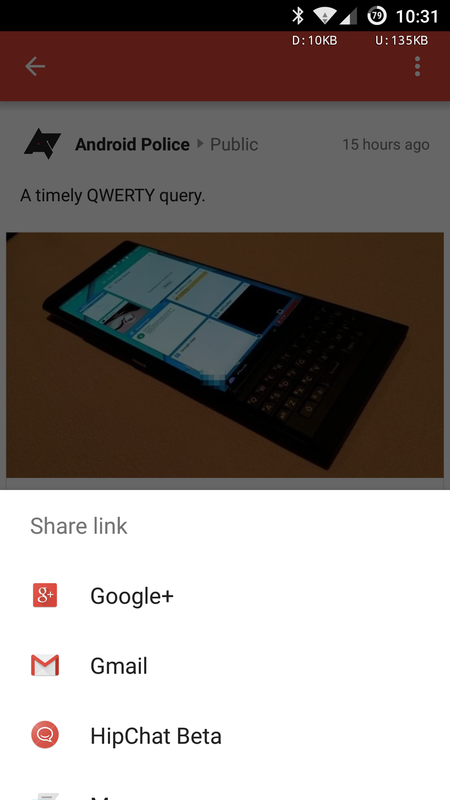 Now, Google is testing native post sharing in the Google+ Android app (you know, what Android apps are supposed to do natively), but it's probably an A/B test or a server side switch - we can't reliably get it to turn on in a given version of the app. Here's what it looks like. Again, we don't have any reason to think this is associated with a particular APK version - it just happens to be switched on for some people at this point. Certainly, this is a welcome change if you're sharing Google+ posts on Android regularly, as it makes the process of doing so a bit more streamlined. Granted, it's still just giving you a link to the post, but it removes the whole "open the app and then paste in the link" part of the equation, saving you time and taps.